In this, her seventh exhibition titled “Pour yourself a Cup of Ambition” Creative Fox will be looking at two of her loves, tea and life! Drawings of individuals doing what they do best – make you laugh, cry, smile and smirk. The exhibition will be composed of sketches and observations of real people with a touch of Creative Fox humour and the odd whimsical flourish. The highly successful range of “Tea Ladies” will be exhibited and also the Ladies who featured in her “I Am Not A Print” exhibition of November 2011. This, her second year of trading, will be an exciting year to watch this emerging talent. 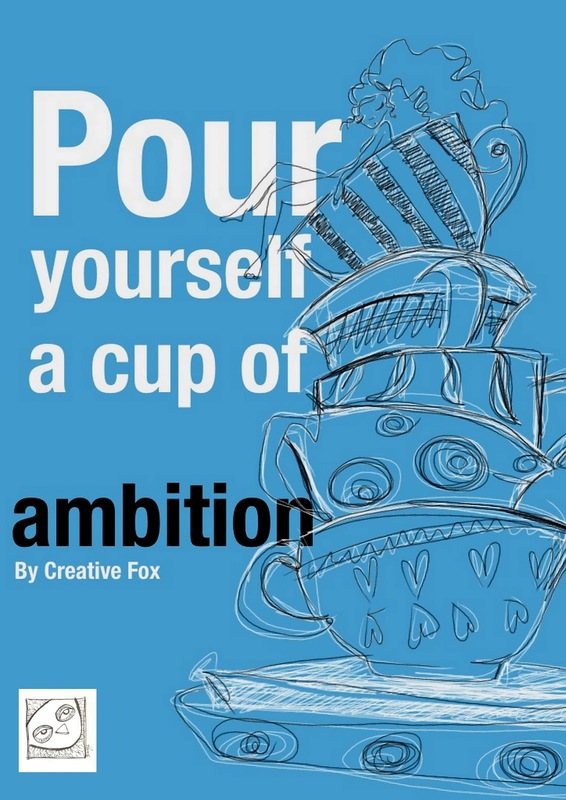 Creative Fox’s style has been scaling the British Isles with pictures to be found in the Highlands, the North, sales to the Midlands and a firm following in the South, this artist is set to boost her brand month by month.